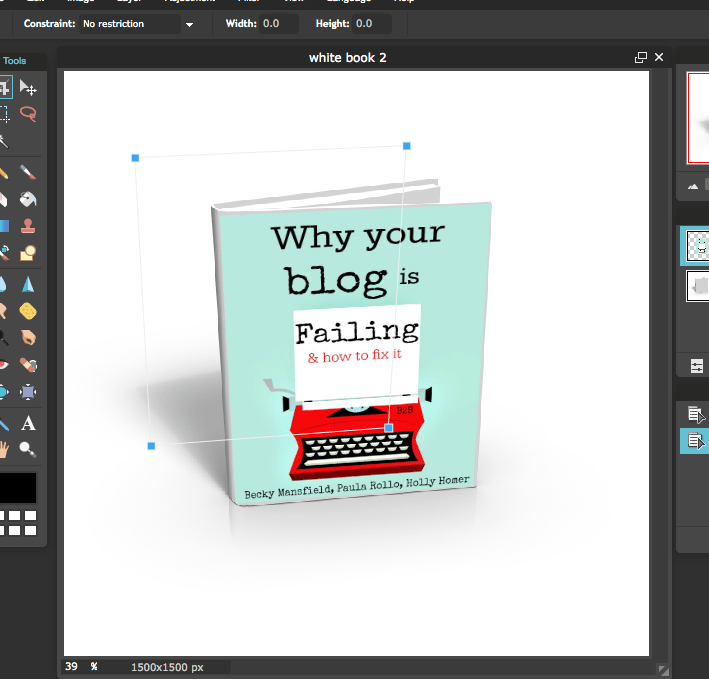 Today we are talking about how to make a 3d book cover image free online as Day 1 of our series: Best Blog Tools. I wanted to show you what I consider to be my favorite find of all time, in the blogging world. Most of you know that I love to write books. I have written (or co-written) six books so far and I have several more in the works. I have also designed all of my book covers, because it is fun and very easy! 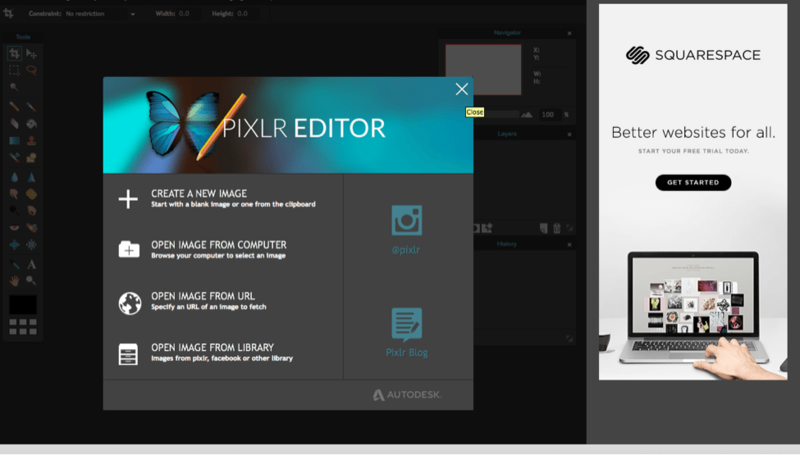 I just buy my favorite image from dollar photo club and get to work. 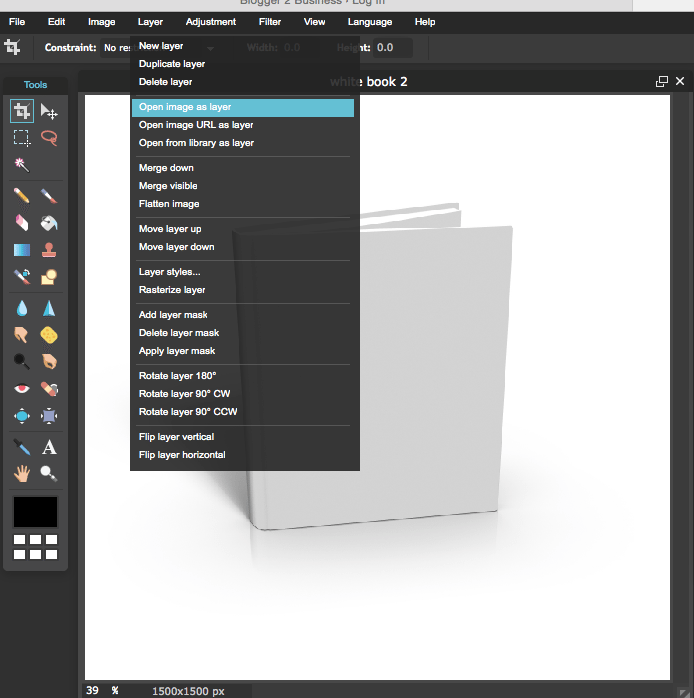 Once I have my book cover designed, I have to place it onto a 3D book, to really bring the book to life! 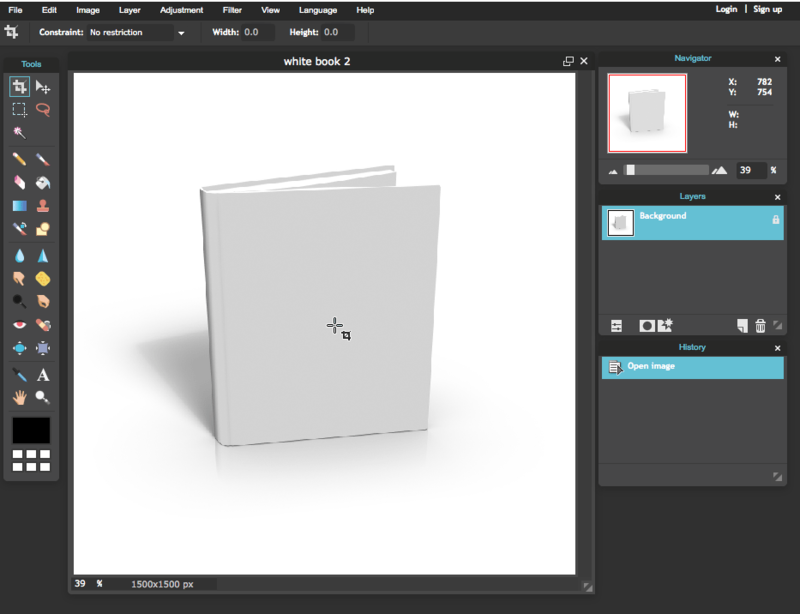 Buy your WHITE BOOK (or whatever color you want) from your favorite photo website. Create a new image in Pixlr Editor. You will see your book here. Under Edit, click FREE DISTORT. This will let you pull the book into any directions. Here is an example of how it looks while you are manipulating the cover. Move the cover to fit perfectly on your book. 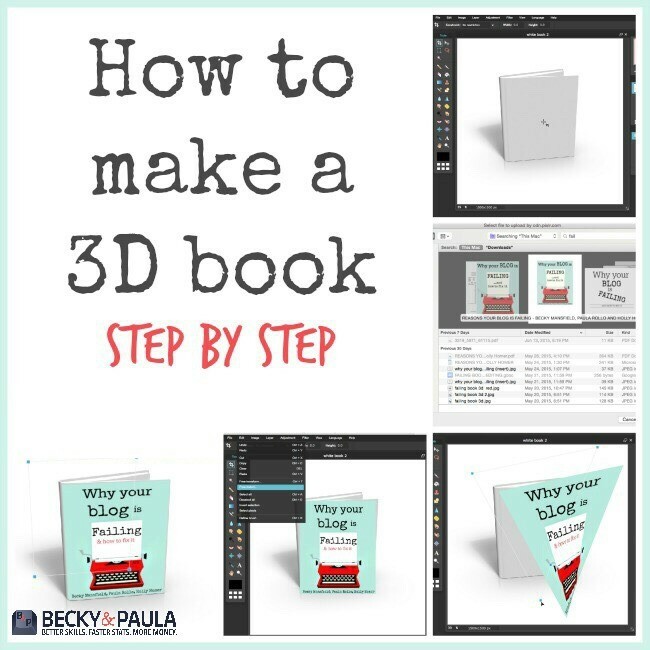 Save it and you are done- you’ve just made a 3d book cover image for free! 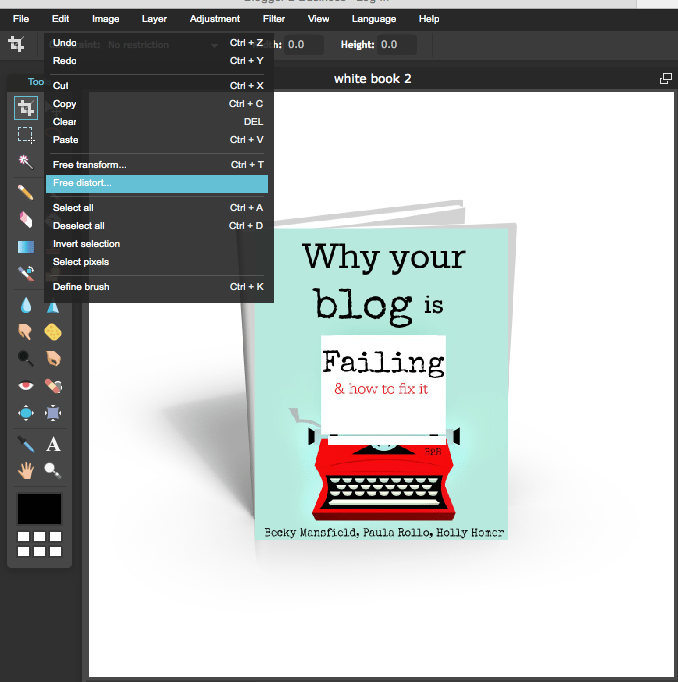 Why your BLOG is FAILING… and how to fix it. 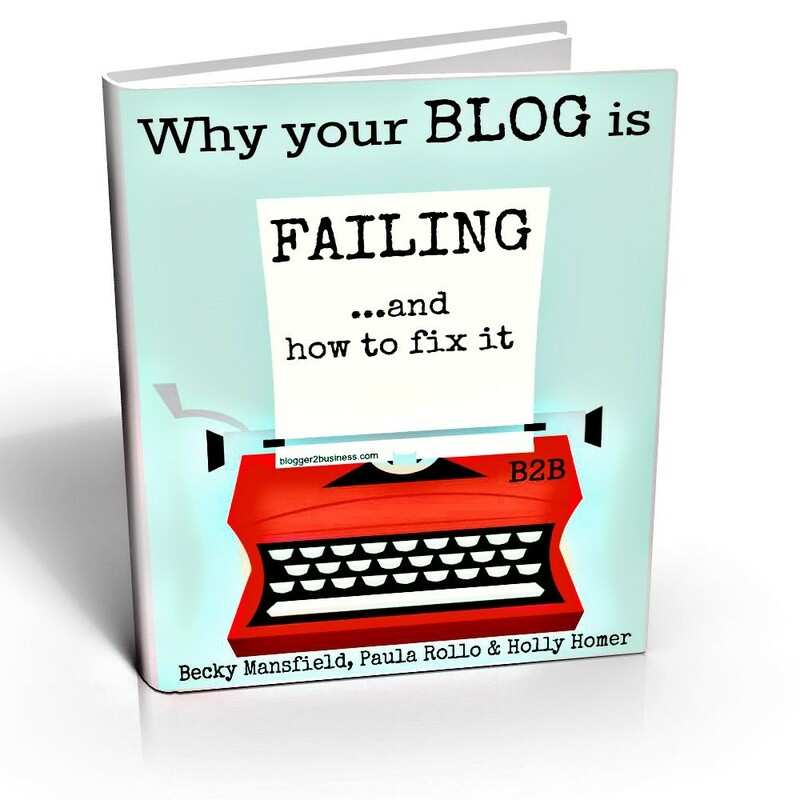 In this book, we (Becky, Paula and Holly) talk about the main reasons that we see blogs failing. Most of the time, it is an easy fix, like design or promotion, that can make the biggest difference. We purposefully made this book under 30 pages to enable you to read it in a day and GET GOING on your changes. We know that you are amazing and sometimes it just takes a little tweaking to find what works for you and your blog. 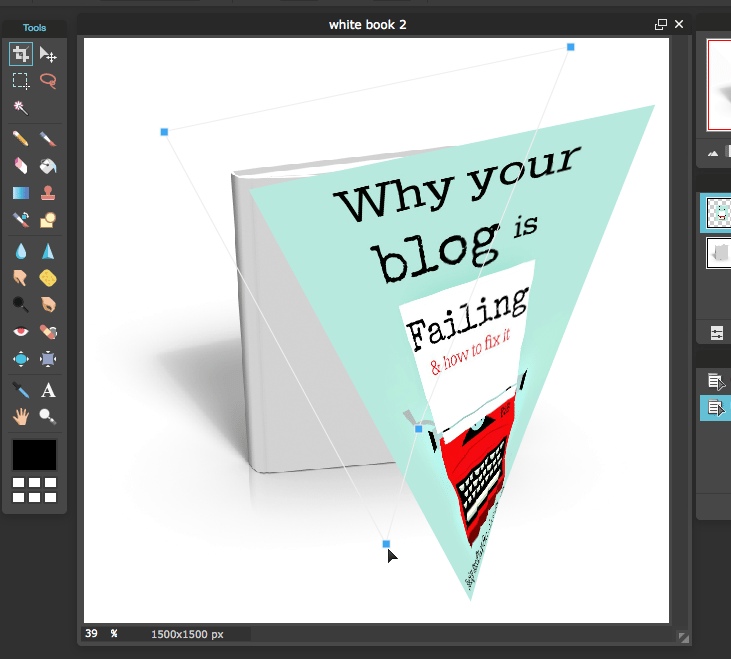 Chapter 1- Your images aren’t helping your blog. Chapter 4- Your social media isn’t working to your advantage. Chapter 8- You don’t believe in yourself or your blog. Honestly- that is the best part. Our goal was to make this book very low in price to give you the best bang for your buck. We want you to be earning an income on your blog, so we wanted to keep this one at a low price and you can take what you learn and turn it into an income. 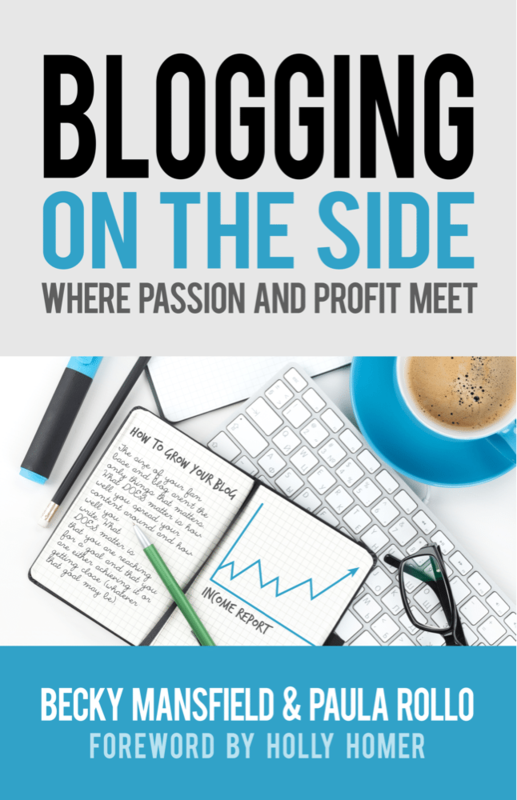 Then you can come back and buy our other book, Blogging on the Side: Where passion meets profit, and take it to the next level! The time has come! We are opening up our book to affiliates. Adding it into a post (my favorite way to do it!) – if you have any posts that talk about blogging or making money, you can add this book there with a note like “I make money with my blog- this book is a resource that will be helpful. Social media! 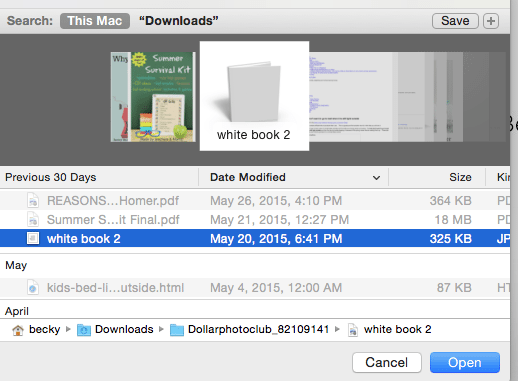 You can just add your link and a picture of the book right to Facebook or Pinterest – this is the EASIEST way to sell a book! Now for the best part of the post… Click here to join our Affiliate Program! This book really teaches you how to start a blog and how to grow it to make it worth your time and effort. She teaches you all of the social media tips that work, picture editing clues, and even monetizing tips. I am learning a lot from reading this book! 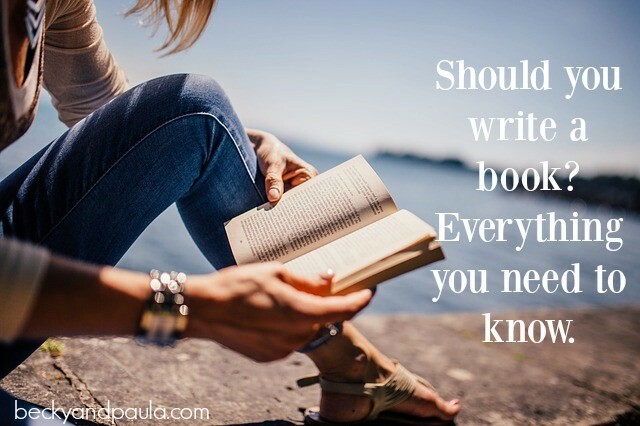 Yes, I’m an author in the book, but you wouldn’t believe some of the great tips from other authors! Britini of Play. Party. Pin. Not to give it all away, but there is more and you are going to love it! Today I want to share a few posts and a few series that will help you take your blog from making a little money to a six-figure income. This post contains affiliate links. These secrets of a six-figure blogger come from Kate McKibbin- she is sharing her tips with us! I recently teamed up with Kate and I am taking her class: Secret Bloggers Business: How to Make Money Blogging. I am so very excited to share this info with you. There comes a time, in all of our blogs, where we are ready to “move on up”. I am making a significant amount of money blogging, more than I made teaching, but then yesterday, my Mom read an article in the paper about a blogger that is making six-figures for her income. 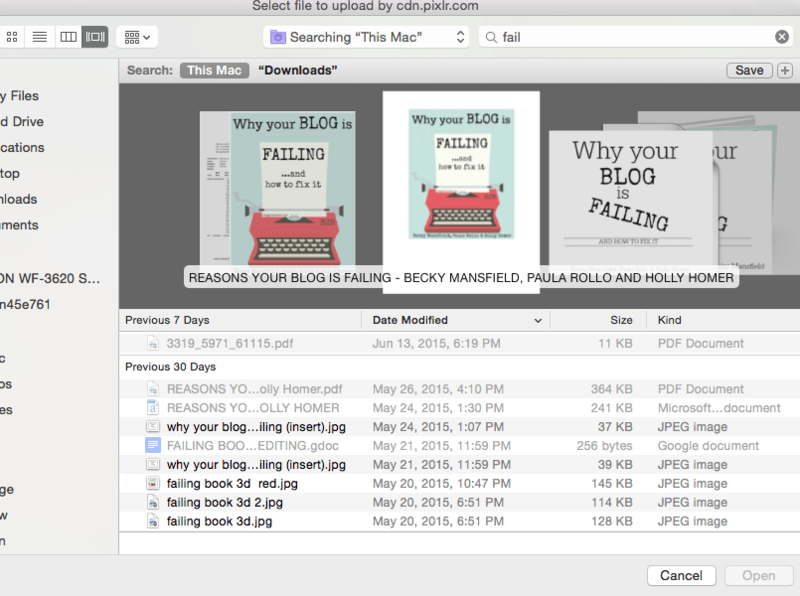 Here are the steps that I took to do the same thing on my blog. I re-read Kate’s e-mail about her ecourse and it was just what I had been searching for~ the secrets of a six-figure blogger! (God gives us what we need, after all! So I don’t say it was just coincidence that I found and started her ecourse this week and am now sharing it with you…) I have the numbers, I have the readers, so now I need to start doing more than just sponsored posts & ads. I need to now the insider tips~ the secrets. Kate tells us, in her e-course: One thing I get asked again and again is how I turned my little shoe-money side-project into an amazingly rewarding and profitable business. Well, it’s just that. I’ve always treated my blogging like a business. And you can too! I was lucky enough to have a background in both publishing and advertising, and a degree in business as well, so I had a head start. The rest I learned the good old fashioned way, with seven years of trial and error, hard work, and occasionally even a few tears. 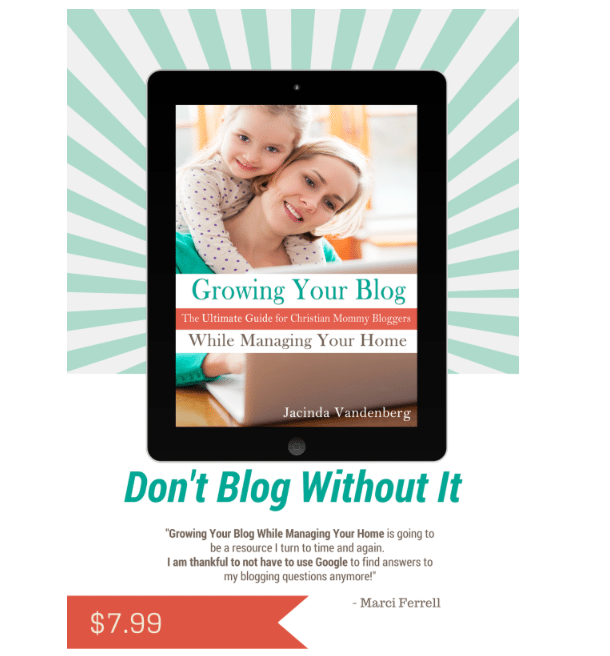 I wanted to let you in on a little blogging secret- this ebook! This is by far the best blogging book that I have ever read! 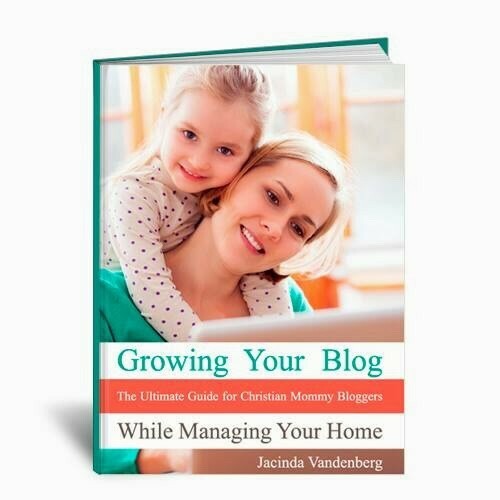 If you want to know how bloggers seem to “do it all” and still succeed, Jacinda explains it ALL in this book. I really feel like this book could have saved me so much time if I had read this a year ago! It really breaks down all of your blogging questions into one little book. I 100% suggest this book to anyone that wants to take their blog seriously. If you are ready to take it to the next level, this is the book for you. I promise you- you will learn more in reading this book for one hour than you will learn in months of doing ‘blog research’ on your own. 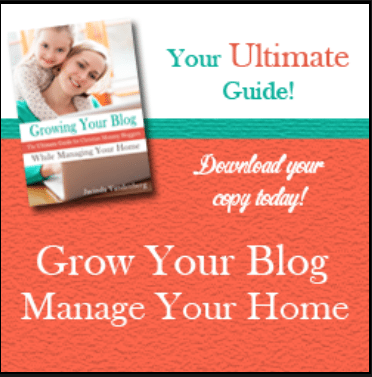 Are you ready to learn how to Grow Your Blog While Managing Your Home? Click here to visit Growing Home and find out more about this book.